Ultrawide 178°/178° viewing angle thanks to in-plane switching technology. 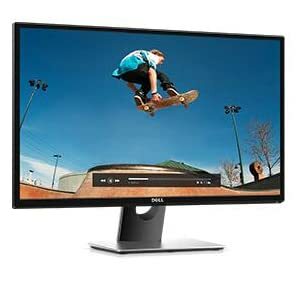 Love what you see and enjoy the view on this expansive monitor. 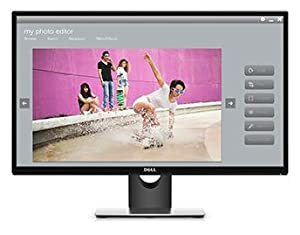 - View images, videos and everyday files clearly on this large 27-inch screen thanks to Full HD resolution. Stylish look fits perfectly in any dorm room, home or small office environment. - Simple, stylish design with the thin glossy bezels, matte screen and sturdy base for a clean, sleek look. - Enjoy the elegant look with a smooth, curved back, complete with black piano finish. Work and play the way you like, comfortably. - Enjoy sharp, clear graphics with AMD FreeSync technology support which helps eliminate screen tearing. - Help protect your eyes with ComfortView features which minimizes blue light emission. - Optimize eye comfort with a flicker-free screen. ComfortView feature reduces blue light emission and brightness onscreen. 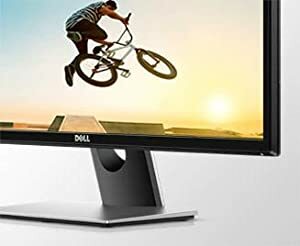 Connects easily to your computer and comes with Dell’s high-reliability promise. 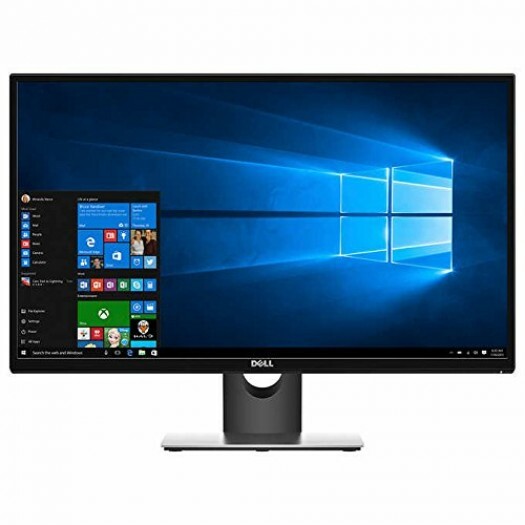 - Enjoy easy compatibility with both legacy and current PCs via VGA and HDMI connectivity. - Reliable from the world’s number 1 monitor brand. 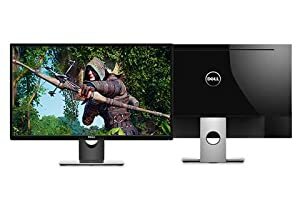 Dell monitors are #1 worldwide for 4 consecutive years (2013 to 2016). Source: IDC Worldwide PC Monitor Tracker (4Q16). - Eliminate choppy gameplay: Never game with screen tearing, stutter, or artifacts again. AMD FreeSync technology creates a fluid performance at nearly any framerate, so you can game without distractions. 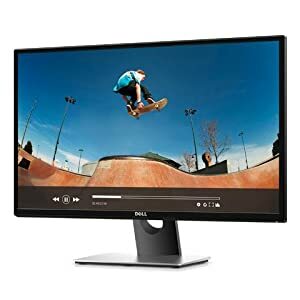 - Increase viewing comfort: Protect your eyes by minimizing harmful blue light, whose wavelengths are similar to UV rays, with Dell’s ComfortView feature. - Reduce eye fatigue: Optimize eye comfort and game longer with a flicker-free screen.